I love the contrast of the soft, neural base, with the bold, sumptuous burgundy. 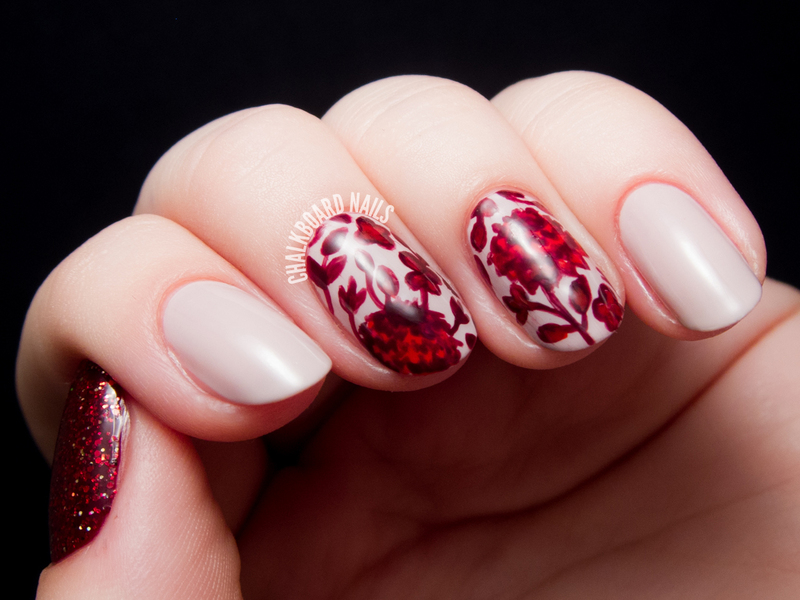 I painted the floral print freehand, and layered a red glitter over the dark cabernet as an accent on my thumb. Overall, I am so happy with these nails. Another winning idea from Kristi! Maybe I should start paying her...? So gorgeous, especially with the glitter accent!! 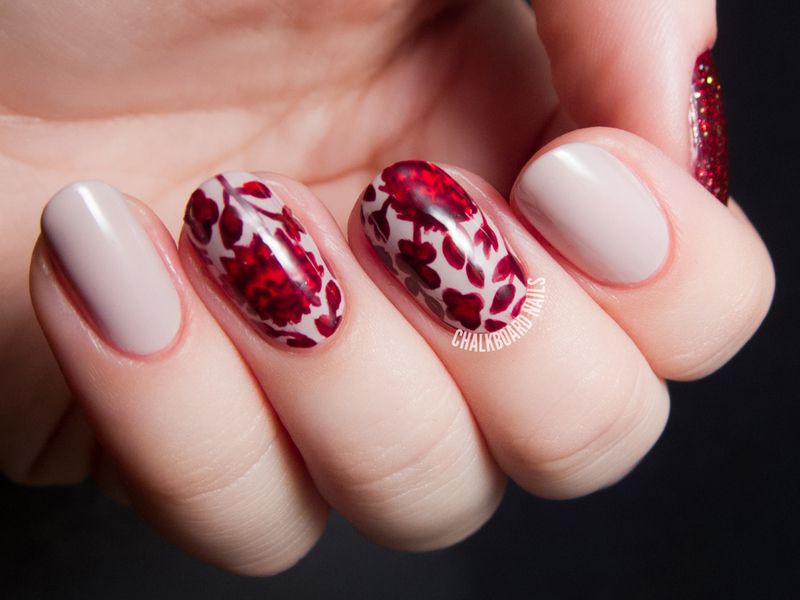 I did a red, Japanese pattern too, hehe! This is beautiful!! You did a great job with detail work! Absolutely gorgeous. Love the colors as well, such great contrast against the pale base :).